As a writer, I find that one of the greatest resources available to me is the internet. It’s so much easier to do research nowadays. Instead of making a special trip to the library, I can just hop on the cyber-network and learn what I need within a couple of keystrokes. The internet is also good for something else too… learning writing skills and reaching out to others who share my joy of writing. In that spirit, I am always browsing cyberspace for new outlets in the writing field. In my search, I have come across a few blogs that stand out to me that always seem to have great information and usually inspires me too. So without further ado, here is my top favorite blogs. The Blood Red Pencil this blog is by a team of awesome authors. There are other sites I like as well, but these are the ones I tend to visit the most often. How about you? Do you have a blog you really like? Feel free to post the link in the comments below and share the wealth. 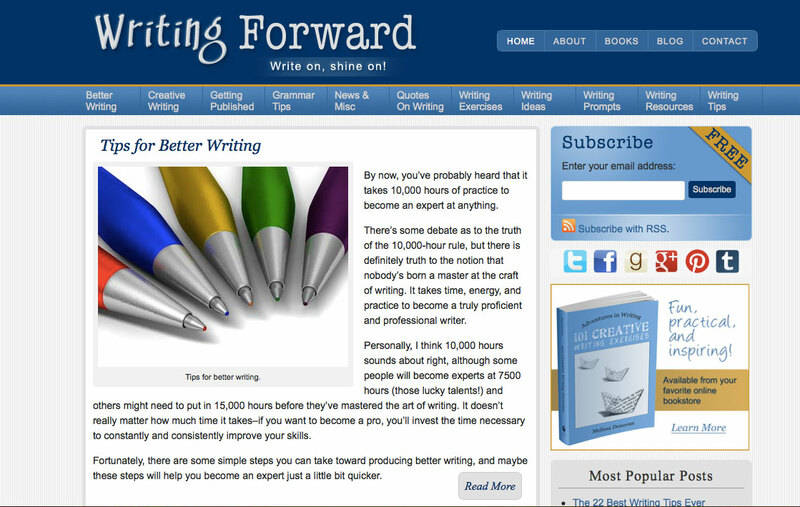 I am honored to be on your list of Top 5 Writing Blogs. I stand in awe of the others on the list!